Great gift for hobby radio operators. Expressely for DXers and Amateur Radio operator. Funny electronic Ham Radio T-Shirt. 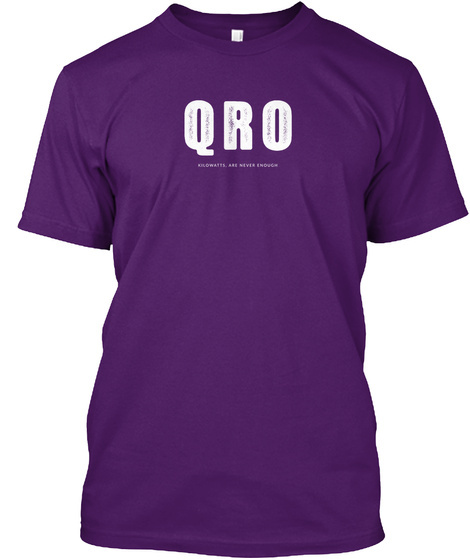 Novelty Joke QRO T-Shirt Gift. "QRO - Kilowatts, Are Never Enough". DxCoffee.